Christine Everheart: Have you ever lost an hour of sleep your whole life? Christine Everheart: What do you say to your other nickname, the "Merchant of Death"? Jarvis: Sir, it appears his suit can fly. Tony Stark: Duly noted. Take me to maximum altitude. Tony Stark: [cutting in] I KNOW THE MATH! DO IT!! Jim Rhodes: [On the phone with Tony, after seeing the suit in action] This isn't a game. You do not send civilian equipment into my active war zone. Do you understand me? Do you understand that? Tony Stark: It's not a piece of equipment. I'm in it, it's a suit. Jim Rhodes: [talking over phone] What the hell is that noise? Tony Stark: I'm driving with the top down. Jim Rhodes: Well, I need your help right now. Tony Stark: Funny how that works, huh? Jim Rhodes: Yeah. Speaking of funny, we got a weapons depot that was just blown up a few klicks from where you were being held. Tony Stark: Well, I'd say that's a hot spot. Sounds... [takes a breath] like someone stepped in and did your job for you. Jim Rhodes: Why do you sound out of breath, Tony? Tony Stark: I'm not. I was just jogging through the canyon. Jim Rhodes: I thought you were driving. Tony Stark: Right, I was driving... to the canyon... where I'm going for a jog. Jim Rhodes: You sure you don't have any tech in that area I should know about? Jim Rhodes: Good, because we got a lock on something and we're about to blow it to kingdom come. Tony Stark: [Two F-22 Raptors fall in position behind Stark] Whoops, there's my exit! Jim Rhodes: You owe me a plane, you realize that. Marine: Is it cool if I get a picture with you? Tony Stark: Yes. Yes, it's very cool. Tony Stark: I don't want to see this on your MySpace page. Please, no gang signs. Tony Stark: No, throw it up. I'm kidding. I love peace. I'd be out of a job with peace. Pepper Potts: I thought you were finished making weapons? Tony Stark: It is. This is a flight stabilizer. It's perfectly harmless. Tony Stark: I wasn't expecting that. Tony Stark: [After seeing the gold 3-D render of his suit] A little ostentatious, don't you think? Jarvis: [dripping with sarcasm] What was I thinking? You're usually so discreet. Tony Stark: [As they're dancing] Am I making you uncomfortable? Pepper Potts: I honestly don't think you could tie your shoes without me. Pepper Potts: Really. What's your social security number? Tony Stark: [long pause] Five. Pepper Potts: Five? Yeah, you're missing just a couple of digits there. Tony Stark: The other eight? But I've got you for the other eight. Tony Stark: [To a dying Yinsen] We gotta go. Come on, move with me. We have a plan, and we're going to stick to it. Yinsen: My family is dead Stark. And I'm going to see them now. It's okay. I want this. I want this. Yinsen: Don't waste it. Don't waste your life, Stark. Tony Stark: Do you have a family? Yinsen: Yes, and I will see them when I leave here. And you Stark? Yinsen: No. So you are a man who has everything, and nothing. Pepper Potts: I'm allowed to have plans on my birthday. Tony Stark: It's your birthday? [she nods] I knew that. ...already? Pepper Potts: Yeah, isn't that funny? It's the same day as last year. Tony Stark: Well, get yourself something nice from me. Pepper Potts: I already did. Pepper Potts: Oh, it was... very nice. Very tasteful. Thank you, Mr. Stark. Tony Stark: I just want you to reach in, and gently lift the wire out. 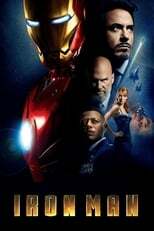 Pepper Potts: Is it safe? Tony Stark: Yeah. It should be fine. It's just like Operation, just don't let it touch the socket or it'll go beep. Pepper Potts: What do you mean operation? Tony Stark: It's just a game. Nevermind. Just gently lift the wire, ok? Alright. Pepper Potts: You know, I—I, uh—I don't think that I'm qualified to do that. Tony Stark: —I really need your help here. Pepper Potts: Oh. Ah. Ew, there's pus! Tony Stark: It's not pus. It's an inorganic plasmic discharge, it's from the device, not my body. Tony Stark: Yeah, it does. Tony Stark: I never got to say goodbye to my father. There's questions I would've asked him. I would've asked him how he felt about what his company did, if he was conflicted, if he ever had doubts. Or maybe he was every inch of man we remember from the newsreels. I saw young Americans killed by the very weapons I created to defend them and protect them. And I saw that I had become part of a system that is comfortable with zero-accountability.